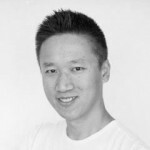 Luong received a Bachelor of Science and a Master of Science in Kinesiology from Simon Fraser University. He then received a Master of Science in Physiotherapy from McMaster University. Upon completion of his formal academic education, he continued with post-graduate courses with a focus on manual therapy, exercise therapy, intramuscular stimulation (IMS) and acupuncture. He enjoys treating a full range of musculoskeletal injuries with a particular interest in shoulders and knees. Aside from his clinical work, he is also an instructor at Vancouver Community College in the Department of Allied Health and has worked as a teaching assistant for numerous courses in the Department of Biomedical Physiology and Kinesiology at Simon Fraser University. When he is not working, he enjoys staying active by playing team sports (hockey, volleyball, and softball) and spending time with his family.